We are a friendly community archery club based in Tynedale (Hexham and Haydon Bridge) in Northumberland. During the warmer months (April-October) we shoot outdoors on Sunday afternoons from 2pm-4pm and Wednesday evenings from 6 to late at St Joseph's RC Middle School, Hexham. While during the winter we shoot indoors on a Monday evening from 6-8,30 at Haydon Bridge High School. The club has 4 qualified Archery GB coaches who can teach you all the skills necessary to become an successful archer and even enter competitions if you wish or maybe you just want to use archery as recreational pastime. Which ever it is Tynedale Archers are there to guide along the way. All new archers will be required to complete a beginner's course. 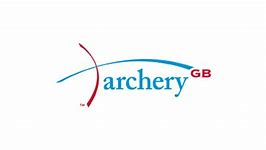 This course is set by Archery GB. No equipment is needed during the beginners course as the club will supply all new beginners the equipment necessary for the completion of the course and even for a short while after until you obtain your own if you do decide to join the club. If anyone is interested in our beginners courses which at present are held twice a year please get in touch via our Facebook page or by our contact page on this site. New courses will be shown in the Beginners Courses tab at the top of this page.